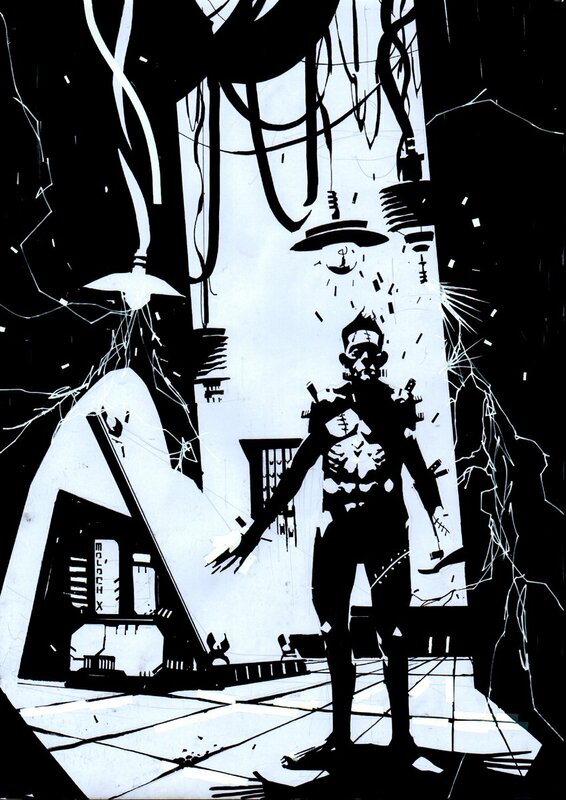 Original art depicting Frankenstein's Monster (Universal prototype) by Arturo Lauria. Approximate 11.7 by 16.7 inch image on a like sized art board... Mixed media on art paper. A wonderful interplay of black and white as well positive and negative space, with small strips white tape used for an interesting effect. ALL art on our website (including this one) are able to be purchased with VERY fair time payments, and trades are always considered towards "ANY" art on our website! Just send us an email to mikeburkey@aol.com and we can try to work something out.